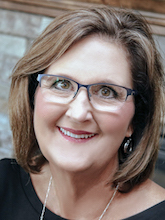 Terri has been with Corpuz Family Dentistry since April of 2014. She has been a part of the dental field for 16 years. Terri enjoys spending time with her husband of 43 years. She also enjoys spending time with her grandchildren, traveling, exercising, reading, and going on walks. Corpuz Family Dentistry nurtures a comforting dental experience while promoting optimal oral health. Our guests and our team will be treated with respect, dignity, and compassion. We pledge quality dentistry with a gentle touch! To accomplish our mission we will provide a highly trained, ethical and professional staff; state-of-the-art equipment and technology; and a genuine concern for our patients time. Our office is paperless, green and proud! Tour our geothermal building and admire our 100% refurbished, upcycled interior decor. We have a soft water system and only use reverse osmosis water.